The Broome Bird Observatory offers tours in the different habits of Yawuru country, showcasing the enormous variety of birds in this beautiful corner of WA. I joined the tour to the saline grasslands, saltmarshes and claypans of Roebuck Plains Station, an iconic Kimberley property that covers 275,000 hectares and is home to 20,000 head of cattle. 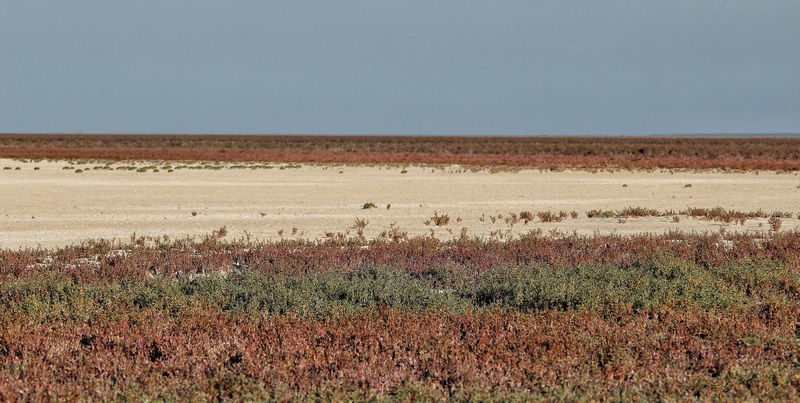 During the wet season the inundated plains are green and lush, abundant with fish, crabs and frogs, an enormous food bowl for thousands of water birds, but in the dry dust devils sweep through the vast open space, where water is only a memory of different times. The majority of birdwatchers who join this tour are in search of the Yellow Chat (Epthianura crocea), a strikingly coloured passerine bird that can be seen on the plains relatively easy, and as it is one of the must-see species, the Broome Bird Observatory even runs the specific Yellow Chat twitch. I had some good views of this marvellous little bird through the telescopes provided, but unfortunately haven’t been able to get close enough for decent shots. But where some birders search for chats, I hoped to find the majestic Australian Crane or Brolga (Grus rubicunda) – and I did. The grassy plains and marshes are the ideal habitat for these large cranes, where they feed on tubers, amphibians, molluscs and insects. As Brolgas mate for life, they can often be seen in pairs or small family groups, strengthening bonds with spectacular courtship displays. Well done Maurice! You saw the brolga we went to see there but didn’t but I did get some chat pics but not wonderful ones as these birds keep well away as you know. I did see the photos you took form the Chat, and I believe they’re really good! 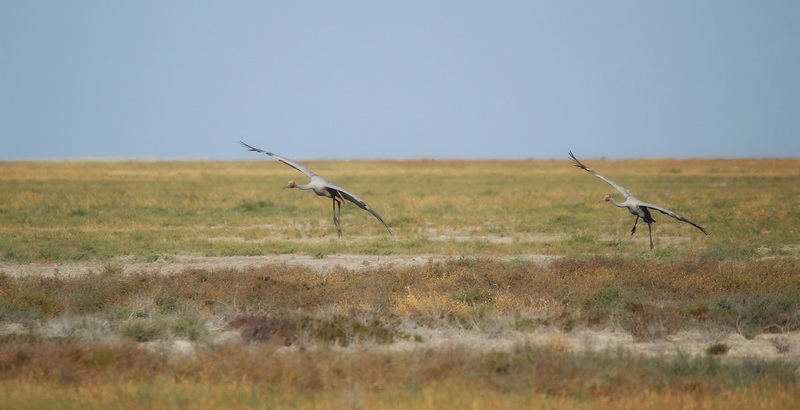 You might not have been lucky with the Brolgas, but you had a good encounter with the Bustards – a species we only witnessed from a far distance as they seemed to be spooked; we’ve been told the Yawuru hunt them for food. What an imposing bird! Are they also endangered, like so many other crane species, Maurice? They’re not endangered as a species, however, in certain parts of Australia they’re common, in others ( like the North West) vagrant or declining (South Australia and NSW) – land clearing and habitat destruction plays the most important role. Sounds like at least there’s hope for their continued survival! Now that is a heart-wrenching situation! What an incredible place you describe, it looks and sounds wonderful. It is a very special place Belinda, although barren and dry for most of the time, the monsoon will always bring life back in all it’s diversity. Beautiful! They remind me of our sandhill cranes.